Nice skirt! And the heels OMG!! 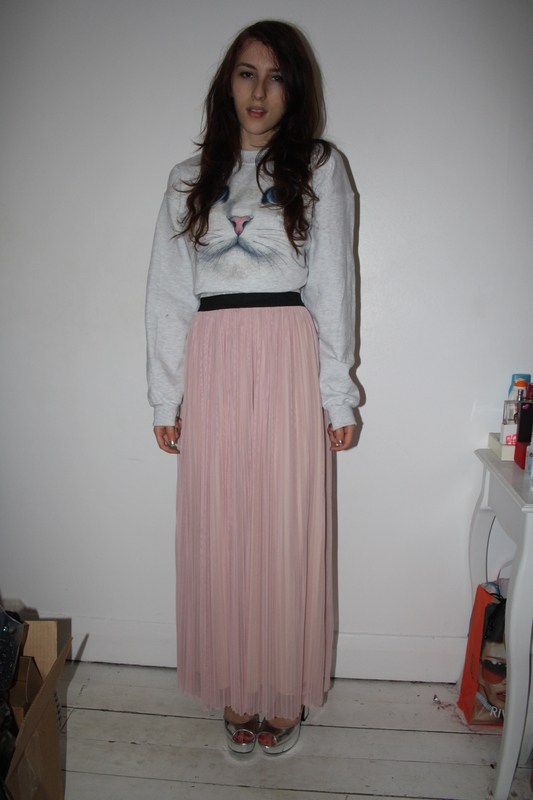 loove your skirt and your sweater is sooo cute! This outfit is like a physical embodiment of my mind right now! Yup, my head is like that most of the time. I hope it passes soon! LOVE this, Georgina! So glad to see you posting again! I know those days very well - I hope you are fine now! 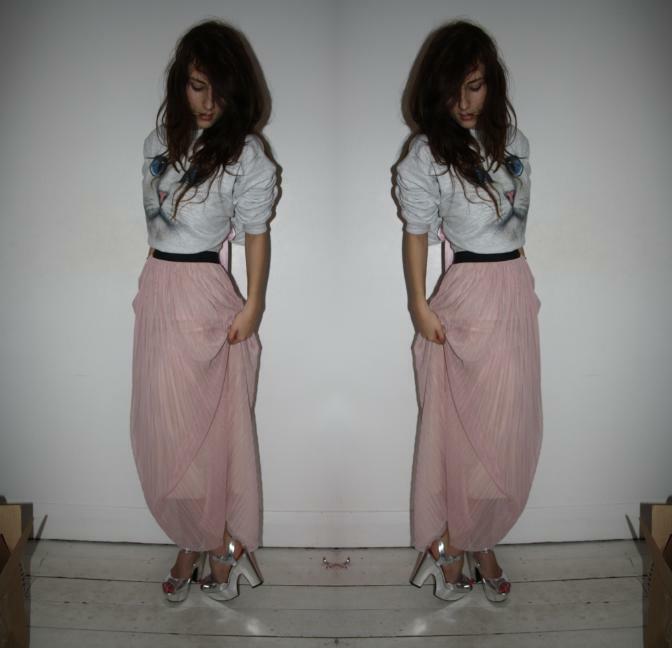 Hi dear, this is one of my favorite looks of yours, love the femininity of the skirt and the adorable top. Fantastic heels too! Me encantan todos tus outfits,este es ideal. La falda es preciosa y los tacones mucho más! Lovely skirt! Where is it from? This outfit is beautiful! Love the skirt. Love this! The kitty sweater is adorable! And the shoes are totally badass! i love this and would definitely wear this!! looks great together.